Job Vacancy: Biennale of Sydney is looking for an experienced organiser of interpretation, education and public engagement initiatives. Reporting to the Chief Executive Officer, the Public Program and Education Manager will lead the development and direction of the Biennale’s education and public engagement activities to facilitate access to and understanding of contemporary art, artists and biennale exhibitions. The position will be responsible for strategically meeting the needs of the Biennale’s diverse audiences through programming, working across the Biennale cycle to develop a focused schedule of talks, tours, performances, lectures, publications and events during exhibition as well as additional activities in the lead up to this period. The position offers the opportunity to engage in diverse projects ranging from curating discursive and writing programs to developing the Biennale’s outreach, access and community engagement programming strands. The role also works closely with the public program staff of the Biennales’ Principal Venue Partners to conceptualise and deliver a synthesised program across the exhibition. Applications marked ‘Confidential’ and addressing the selection criteria must be received by 5 pm on Friday, 6 March 2015. Applications that do not address the selection criteria will not be considered. 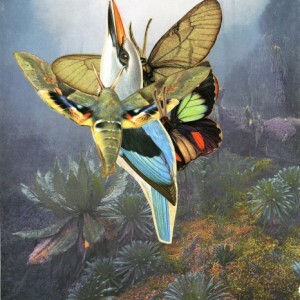 Image: Gerda Steiner, Jörg Lenzlinger, Souls, Collage, 2011. Courtesy Biennale of Sydney.